In 2 words, hell yes, mainly because you get to condense lots of face-to-face meetings with key people in a short space of time. Everyone arrives with one goal in mind; to do business. At a conference, the layers of bureaucracy are stripped bare so that you can speak to the top execs at big companies easily. Well, relatively easily, you still need to put in a bit of effort. It can be expensive to go to one of these things, but outside conferences, getting 20 relevant meetings arranged would take a lot of scheduling, possibly a good bit of travel and will be spread over many weeks. At a conference like MWC, you get it all done in 4 days so the cost of air fares, accommodation and event ticket is well worth it in terms of saved opportunity cost alone. Buyers attend conferences to find new ideas and set their future roadmaps, so you get an invaluable opportunity to influence their thought process early on if you’re selling innovative technology. The wrong way to prepare is not to. 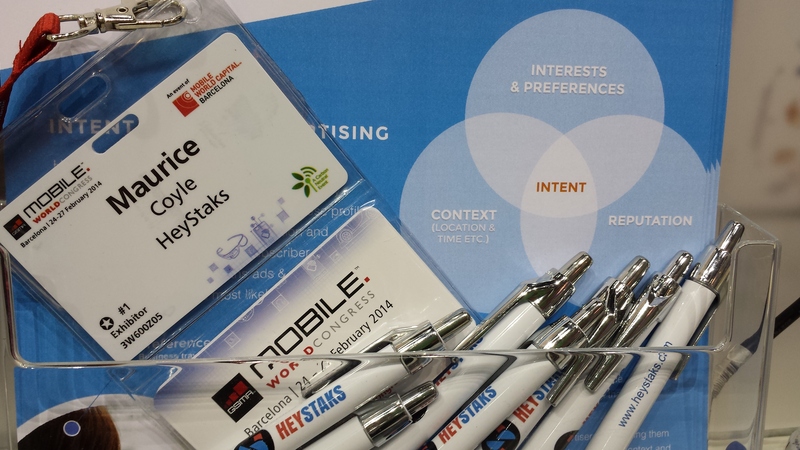 In 2012, we hadn’t intended on going to Mobile World Congress, as we were in the early stages of exploring mobile. With 2 weeks to go we were offered a place on the Ireland Pavillion (more on that later) by Enterprise Ireland and thought “Why not? It’ll be good to make some connections and do some market research”. So we took the available place on the stand, bought a Spanish phrase book and packed ourselves off to MWC. We did indeed make some decent connections and got some market research done, but both came only as a result of some extremely hard grafting at the event and some help from the folks on the Ireland Pavilion. Big events are hard enough without sprinkling a gross lack of preparation into the mix. The key to any successful event if you’re in sell-mode is pre-planned meetings, with people in the right roles who work at companies that are a good fit for your product. 2 things played against us here; firstly, peoples’ schedules fill up well in advance (months in some cases) of MWC, so 2 weeks left us trying to find space on schedules where there was none; secondly, since we didn’t have our proposition fleshed out, we didn’t know which role within mobile operators to target, or even which operators to speak to. We arrived in Barcelona with no meetings arranged and our only option was to walk around the 8 ENORMOUS halls to visit companies that may or may not be a fit for our product, and just hang around waiting for someone interesting to talk to. It was a tough, tough slog. A small amount of networking with people who may or may not be interested in what you’re selling is useful, as serendipity plays a part in any successful business, but I wouldn’t recommend it as Plan A. Or B. In fact, it’s best for all concerned if you end a conference saying “I was so busy with our scheduled meetings that I didn’t even get a chance to walk around to see what else there was”. 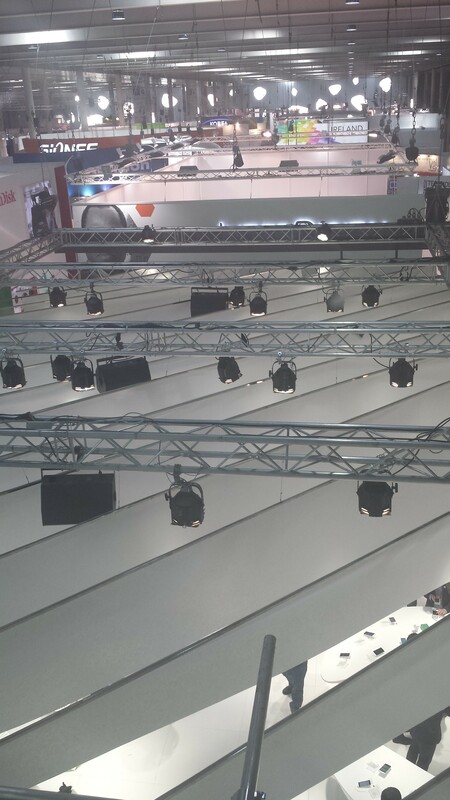 The 8 Halls of MWC are enormous, so traipsing around trying to drum up business is … challenging. This year, we knew from October that we were going to be attending the show. We had spent the past several months finding our place in the mobile world, and talking to potential customers, partners, sales accelerators; basically anyone who would listen for 10 minutes. We knew what we were selling (the ability to understand subscriber need & intent through analysis of their search activity) and who we were selling it to (people within mobile operators who have a budget/mandate to generate revenues from advertising or precision marketing – generally within consumer marketing). We had our phrase book from last year so all we had to do was arrange the meetings. Warning – this is a laborious process, getting contact information for people can be tough since the more senior an executive, the less visible they tend to be to outsiders. Luckily, fair reader, we’ve compiled a post on how to get through to the people you need to. With a good 20 meetings scheduled, this year’s Mobile World Congress was a much more enjoyable, productive event. Tiring, yes, you’re still on the go 10-12 hours per day, you have to be equally spritely about pitching your product at 7pm as you do at 9am, and you must man your stand at all times. You never know when that buyer will amble past waving their cheque book in the air. We were on the Ireland Pavillion, sponsored by the marvellous Enterprise Ireland, so we had a base with access to meeting rooms and could mostly get people to come to us. This took a large amount of literal leg-work out of the event and our energies were spent in a much more efficient, focussed way. It’s a good idea to send out calendar entries to all confirmed meeting attendees and approaching the event, to send confirmations to ensure people arrive on time (or at all!). Events like MWC can get a little frantic for some and inevitably meetings will run over, people will arrive late and some won’t arrive at all. But by and large if you follow the steps above, you’ll give yourself the best chance of getting a result out of the event. All meetings should be prepared for individually, since the same product might be positioned in different ways to align with each customer’s needs. If you don’t know anything about them, open the meeting by asking them some questions designed to find out how to position – then tailor your message on the fly! Finally, after the event you should follow up with the people you didn’t meet as well as those you did, since quite often you’ll get at least a conversation out of some of them who couldn’t meet you for other reasons. Doing most of your prep work before you go to identify the companies and attendees you’d like to meet, and putting in the effort to schedule meetings with these people. When you have those golden meetings secured, send calendar invites to confirm. Ensuring your proposition has value for those you’re targeting, so both parties stand to benefit from an interaction. Following up. When you have a meeting at an event, make sure and set some concrete next steps (this can flush out tyre kickers vs genuinely interested prospects) and follow up with each and every one. We hope this post was of use to you in preparing for Mobile World Congress next year, or indeed any event you plan to attend. We’d love to hear in the comments about any other tips people have for securing meetings and ensuring a successful event so please contribute!